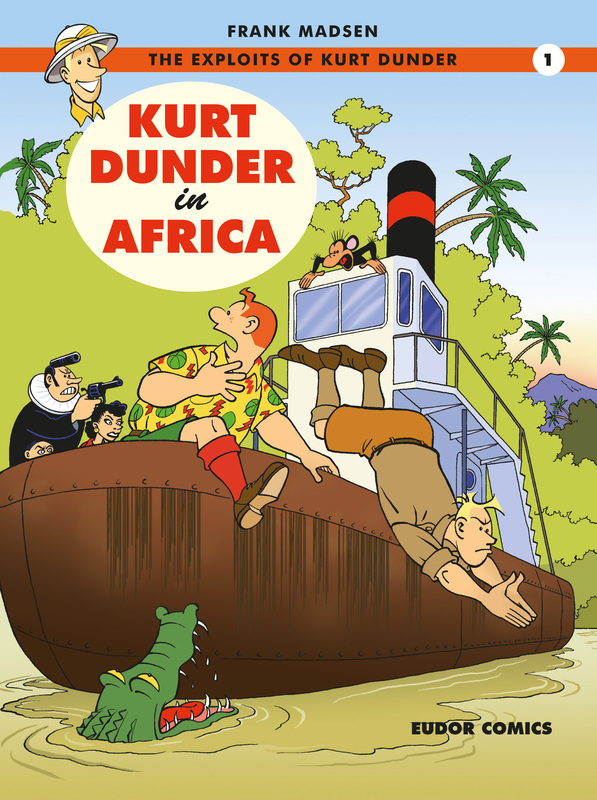 My first Kurt Dunder book, “Kurt Dunder in Africa”, is now available in English from Amazon. Both as print edition and as digital book for Kindle Reader/app. Kurt Dunder is a famous adventurer and scientist who travels around the world along with his friend Bill Milton and Attila the monkey to solve strange mysteries. It is drawn in the popular european ligne claire style and published by Forlaget Eudor. So far three Kurt Dunder books have been published in Denmark. Click here to read the first 8 pages of “Kurt Dunder in Africa”.